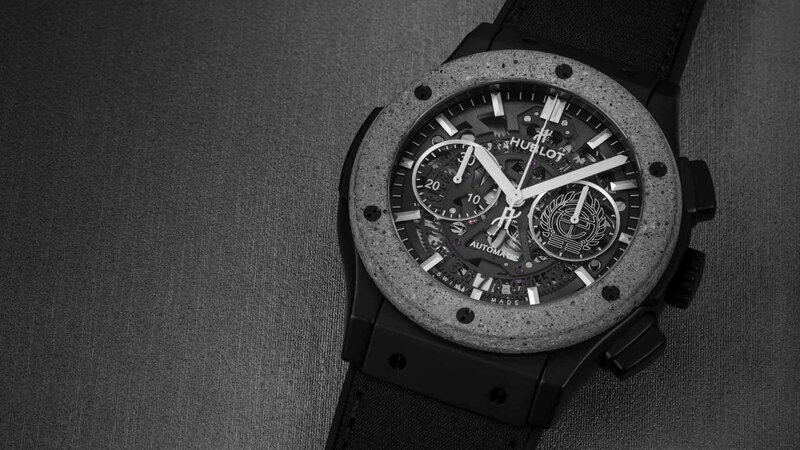 We’re used to gold, steel, platinum and even more exotic materials like carbon fiber, tantalum, linen and more, but concrete? 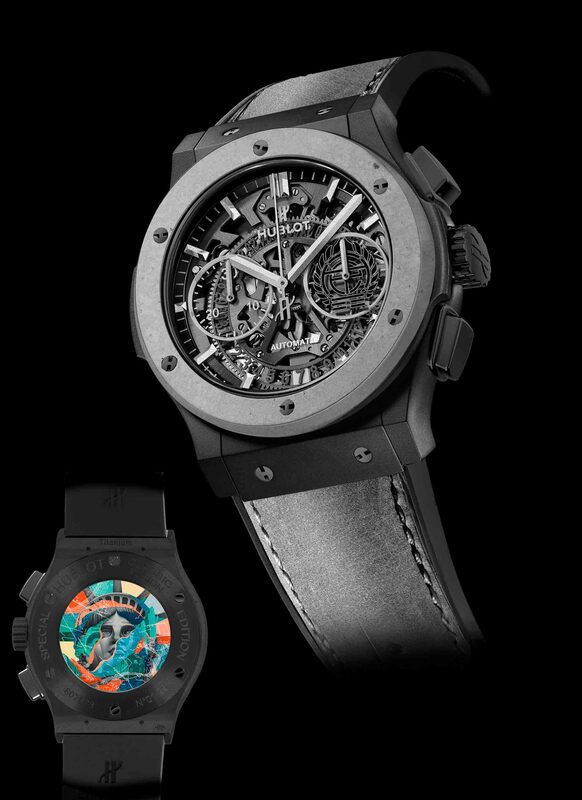 For the first time, Hublot uses real concrete in the bezel of the Classic Fusion Aerofusion Concrete Jungle, a timepiece that celebrates the brand’s collaboration with street artist Tristan Eaton. 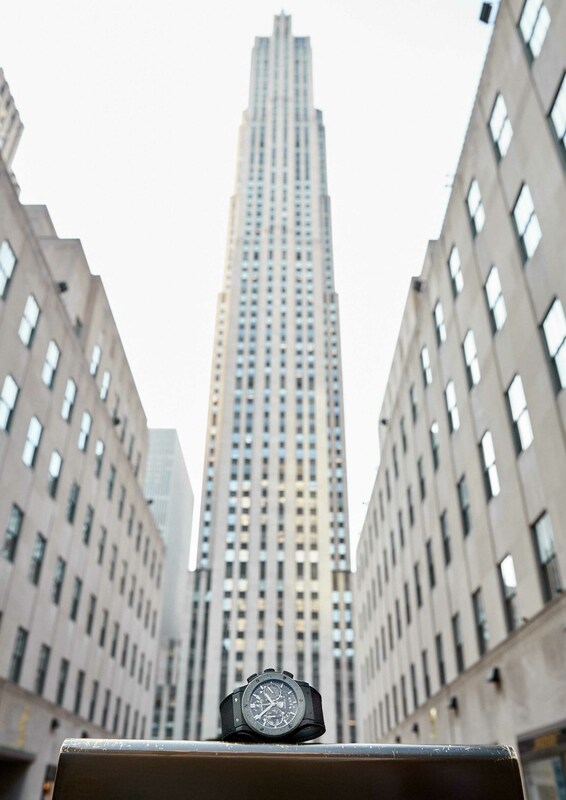 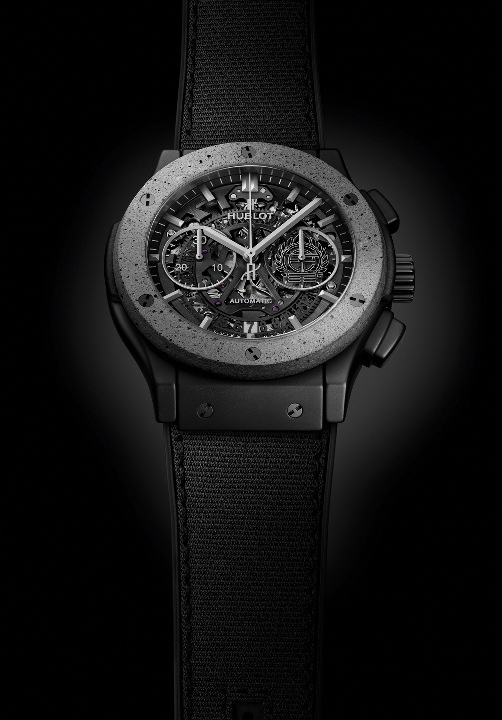 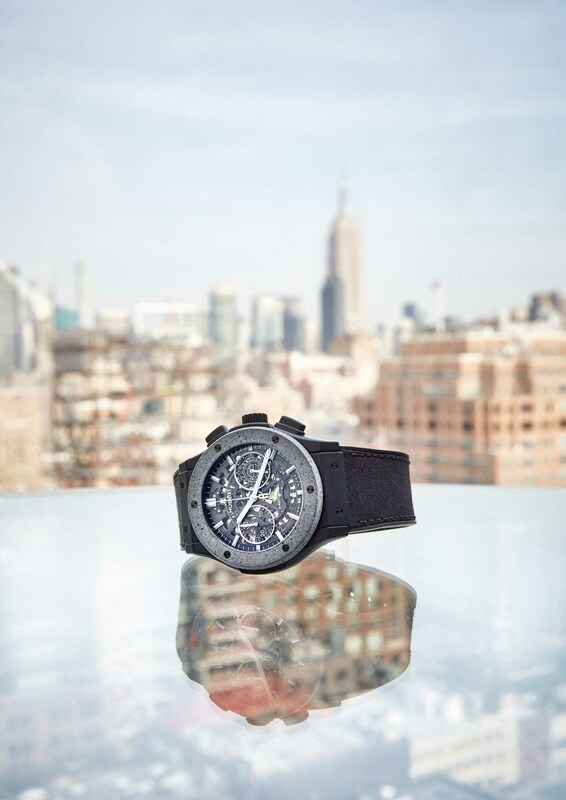 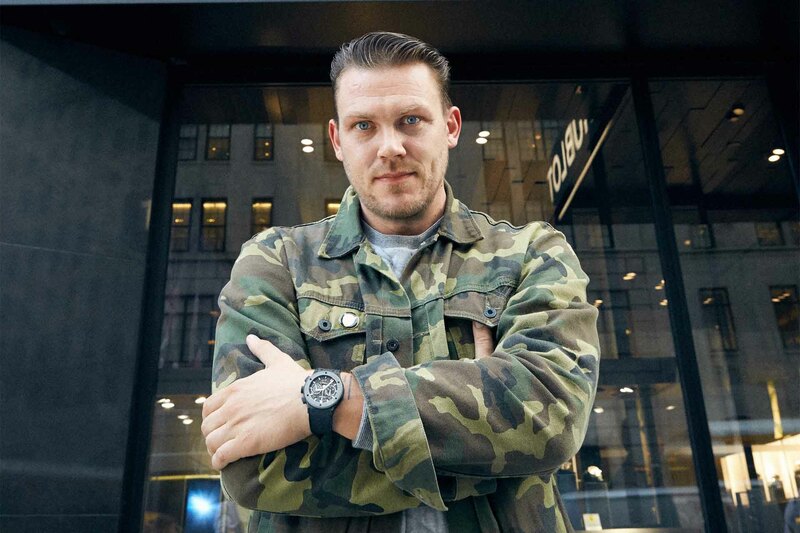 Managing Director of Hublot of America Jean-François Sberro, hosted a three-part event in downtown Manhattan with the artist to reveal the new watch. 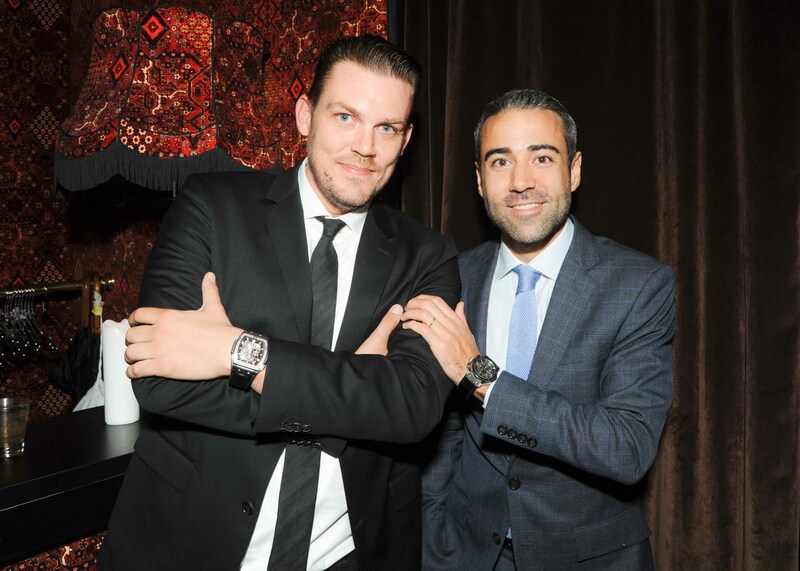 The event started in the glass enclosed Penthouse at the Hotel on Rivington, then went on to Café Medi for a seated dinner, and dinner was followed by an afterparty in the “underground” lounge JIA. 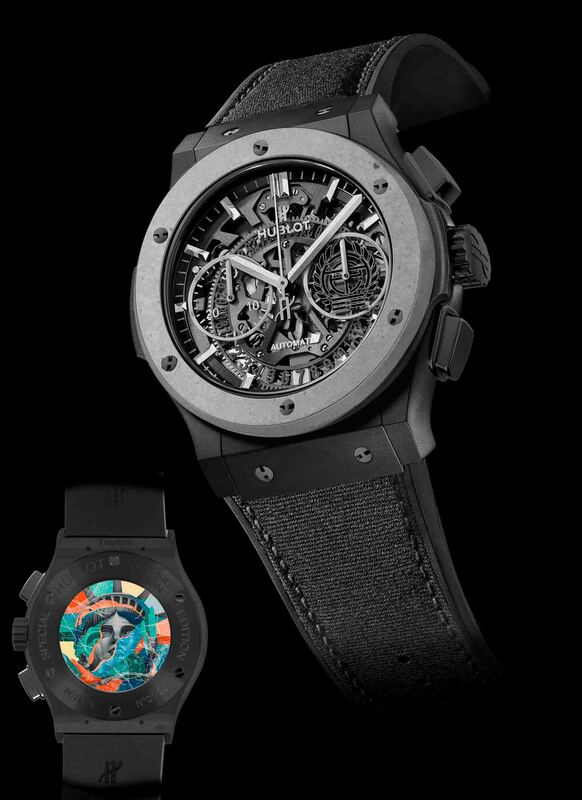 The watch’s case back features Eaton’s signature collage technique that creates a colorful motif of the Statue of Liberty. 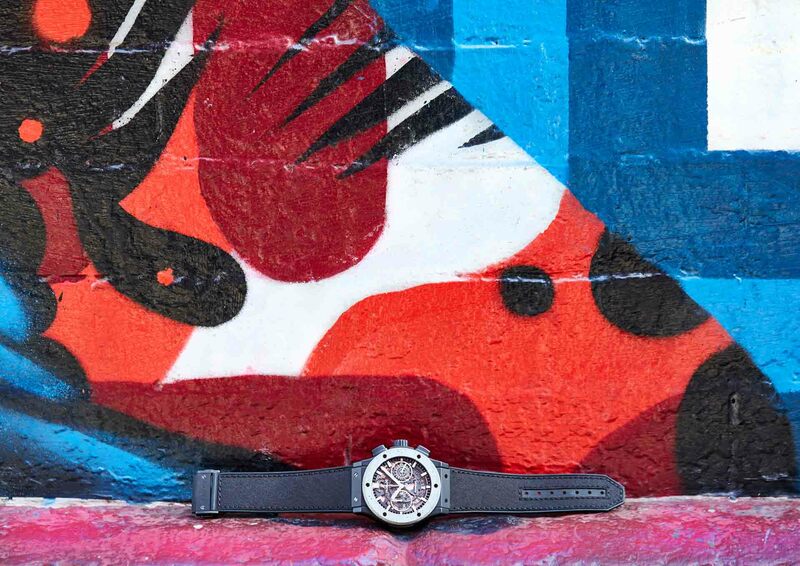 Eaton first explored this subject in Liberty, painted in September of 2012 at the corner of Mulberry and Canal Streets in New York City’s Little Italy neighborhood. 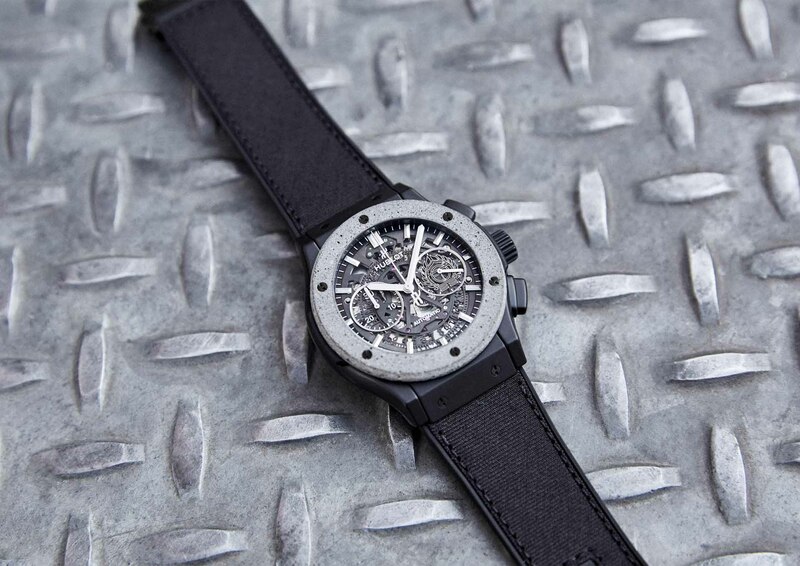 The “Concrete Jungle” Classic Fusion Aerofusion timepiece is limited to 50 pieces, available for purchase at Hublot New York boutiques on Madison Avenue and Fifth Avenue for $19,500.